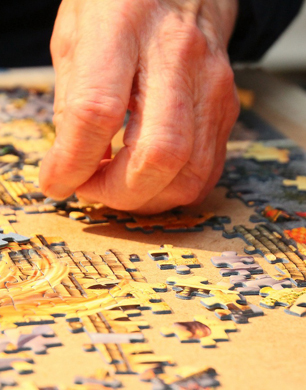 Some hobbyists are fairly simple, and enjoy challenges like puzzles to complete. Depending on the age of the hobbyist, you can find multiple puzzles to suit. There will be really difficult puzzles with a ton of pieces, and easier puzzles for kids to complete. It can be a great gift as it will keep them occupied for a while! Making jewellery can be a real joy. Not only does it give the hobbyist something unique to wear and be proud of, it could very well spark a career or business idea! It’s better than going out and buying something generic that anybody else could own. Some people like to collect models. Model Flying Scotsman trains, model Eddie Stobart trucks, model cars… you get the idea. Buying a model vehicle that they don’t currently own could be a lovely idea and a great way to help them build their collection. A tool kit is great for the DIY types. Tool kits can be expensive, so again you want to work out a budget to ensure you don’t overspend. If you can’t afford an entire toolkit, you could always treat them to something to go in their toolkit. Metal detectors are brilliant for outdoorsy types, and you could even help them to find some treasures! Make sure you read reviews before splashing out on a metal detector, as they all have their own pros and cons to be aware of. Perhaps the hobbyist just loves the gym and lifting weights. Why not treat them to a weights set? All you need to do is make sure they have the room and that they need something like this at home. If not, you could always purchase a lifting belt, foam roller, or some lifting gloves. There are a ton of options! Calligraphy is like a lost art, so if somebody enjoys pens, handwriting, or both, this could be a wonderful gift. Gamers will always appreciate a new game to play, so do some research and find something rare or amazing if you can! What do you think of these gift ideas for hobbyists? Leave a comment with your thoughts!